Remember the days of quarterly product releases and updates? Thanks to DevOps, those days are long gone. Companies that employ DevOps are able to drastically reduce time-to-development and release error-free software continuously and consistently. But executing DevOps is not easy. In order to get DevOps right, organizations need to commit to the following three principles. Instituting automation and testing from the outset is necessary in order to get DevOps right in the long run. Oftentimes, young companies will rush to release applications, while cutting corners by not building in automation and testing. While this can be an effective way to get software to market quickly in the short term, it can be disastrous in the long run. If a product finds success and is ready to be scaled, a poor code automation foundation can stall the process long enough to lose customers! Companies that fail to uphold this principle often spend untold dollars and hours fixing and rewriting a bad code base. While automation and testing is arduous to set up, failing to do so from the start ensures glitches in the code – and application downtime down the line. The success or failure of an organization's embrace of DevOps hinges on the tools that it identifies and rolls out in pursuit of its goals. The DevOps toolbelt is all about arming yourself with a set of complimentary task-specific tools, that can be used in combination to automate an end-to-end process. DevOps has the potential to exponentially increase productivity, speed up time to market, reduce risk, and increase quality. But DevOps principles need to be built on top of a robust process. The process must be properly thought out in order to handle the organizational challenges, and, at the same time, needs to be very efficient, quick, and accurately repeatable. This is why IT success is predicated on the use of tools – and the reason for the DevOps toolbelt. In order to get DevOps right, an organization must have committed leadership. A company that doesn't have a DevOps advocate in it's CIO or VP of Engineering is like a train without a conductor. Both transitioning and sustaining DevOps are intricate processes which require a leader who is not afraid to make organizational changes that shake things up. 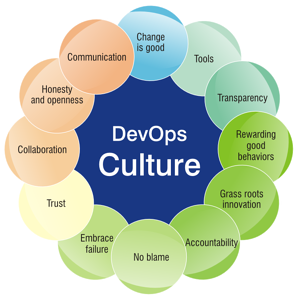 DevOps is a cultural transition, and a good CIO is equipped with the knowledge of what developers and operations teams need to work together. This involves removing hierarchies of the past and decentralizing IT to empower developers to create highly effective teams. For organizations that have been around for a while, this is the biggest challenge. It's the same reason that some larger and older organizations choose to incrementally implement DevOps, so as not to send shock waves throughout the company. On the other hand, younger companies have the luxury of being small and nimble, allowing them to fully embrace DevOps from a very early stage. There is sometimes a disconnect between what DevOps should be and what it is in practice. In some cases, DevOps is used only late in the development process or once a company begins encountering issues with a release. Others are committed to using DevOps principles from the onset. Sometimes, older companies have a harder time transitioning than younger ones. But in the end, all it takes is discipline and willingness to implement DevOps thoroughly and correctly. For organizations of all sizes and across all industries, committing to the principles laid out above will help your organization get DevOps right. DevOps needs continuous improvement, so what are the 7 signs that you are mishandling it? Check out our post to find out.